It was created in cooperation with Constance Bobroff. 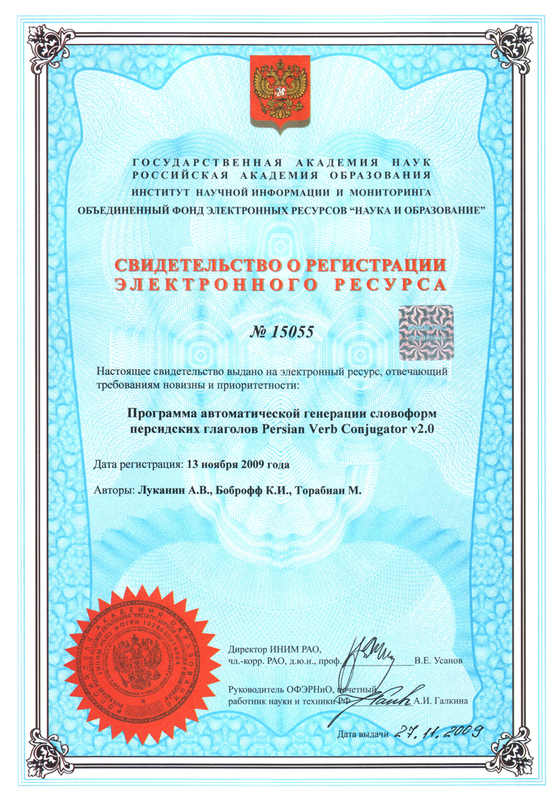 Its novelty and priority are approved by Electronic Resource Registration Certificate #15055. Different tests on Persian, including tests, which are generated using the Persian Verb Conjugator algorithm. They were created in cooperation with Constance Bobroff.